Enable “Unknown Sources” easily, fix grayed out issue and Bypass Google Account LG Stylo 2 Plus Android 6.0 with latest 2018 method, if you’ve forgotten your previous synced gmail account, and you’ve got frp lock, so you can easily fix that issue from here. 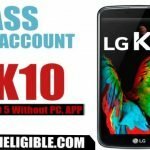 Many users facing problem while unlock frp lock, because they can not install any app like “Quick Shortcut Maker” etc, because unknown sources grayed out, so this post would help you to Bypass Google Account LG Stylo 2 Plus. -Tap on “Accessibility > Yes > Vision > Talkback > Text-to-speech Output“. (See Below Image). -Now Tap on “Setting for Google Text-to-speech Engine”, and then tap on “Feedback”. -After that, tap on “terms of service”. (Chrome browser will be launched). -Tap on “Accept & Continue”, and then tap on “No Thanks”. -Type in search bar “Download Quick Shortcut Maker Techeligible“. -From search result, open “Bypass FRP Applications & Files…” (as shown in below image). -Swipe up, and tap on “Launch Share Options”. (as shown in below image). -This will open “Popup” bottom of your screen. -Un-check the box “Use as Default App”. -Long tap on “Gmail icon”. -After that tap on > Notifications > App Settings. -Tap on “3 Dots” from top right corner, and then select “Manage Accounts”, after that “Continue”. -Scroll down, and then tap on “Fingerprints & Security”. Note: Now you will see there “Unknown Sources” is grayed out. we can fix this issue by disabling some applications. -Turn off “Verify Apps” from there. -Go to > Phone Administrators > Android Device Manager > Deactivate to bypass google account. -Now again tap on “3 Dots” from top right corner, and then select “Manage Accounts”. -Tap on “Apps”, and then tap on “3 Dots” from there, after that select “Show Systems”. -Scroll all the way down until you see “Setup Wizards”. -You will see “2 Setup Wizards” there, one is in “Blue” color and second is in”Green” color. -Tap on blue color “Setup Wizard > Force Stop > OK > Storage > Clear Data. -Tap on green color “Setup Wizard > Force Stop > OK > Storage > Clear Cache. -Scroll all the way up until you see “Google Play Services”. -Go to > Google Play Services > Force Stop > OK > Disable > Yes. -Lets get back to very first “Welcome Screen” by tapping on “Back Key” multiple times. -Tap on “Next Arrow”, and then “Skip”. -Go down, and tap on “Add Wi-Fi Network”. -Type “Techeligible” in SSID Field. -Long tap on your typed text so that (Cut, Copy, Share) options appear. -Tap on “Share” to bring share options. -Now from share options, Long tap on “Gmail icon”. -After that, Scroll down, and then tap on “Fingerprints & Security”. -Enable “Unknown Sources” from there, i hope this time you wont see unknown sources is grayed out. -Now go back to “Settings”, and then tap on “Apps”. 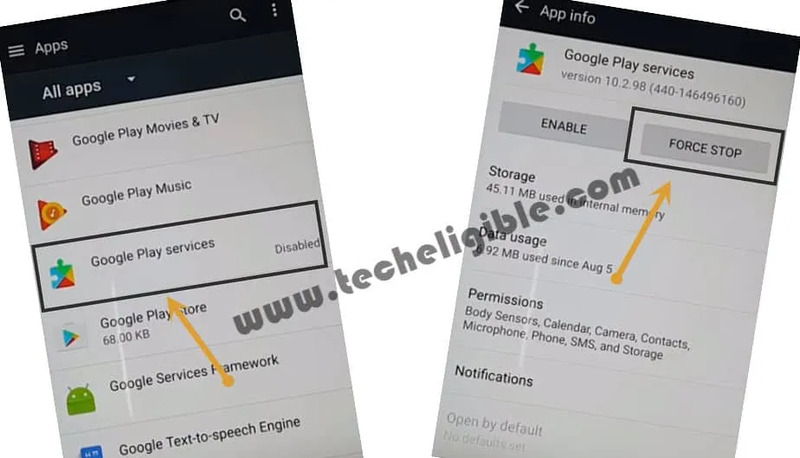 -Enable “Google Play Services” from there. -Keep tapping on back key until you get back to “Welcome Screen”. 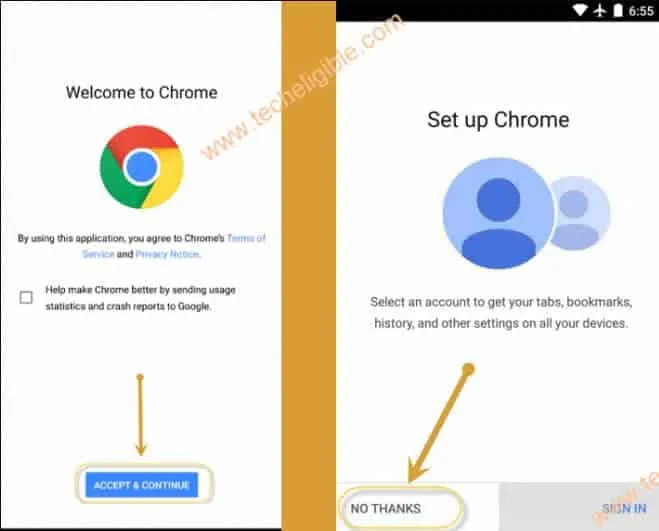 -Now you have to follow above steps again to open “Chrome Browser”. -Tap on “Accessibility > Yes > Vision > Talkback > Text-to-speech Output“. -Now you’ve successfully launched “Chrome Browser”. -Open result “Bypass frp applications and files..” (as shown in below image). 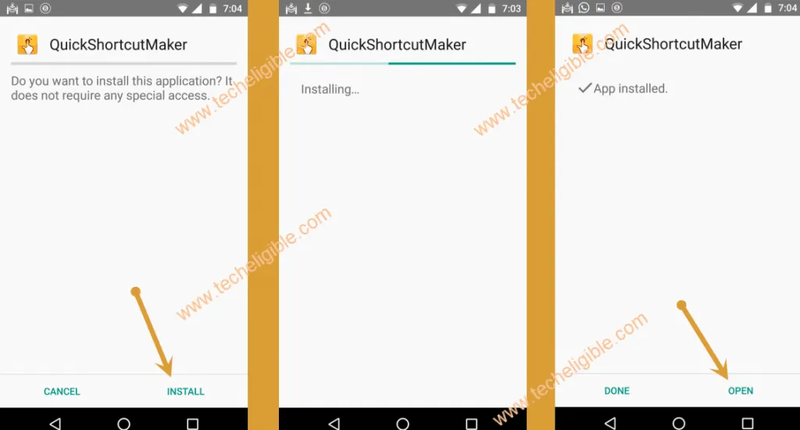 -Go down, and download “Quick Shortcut Maker 2.0“. 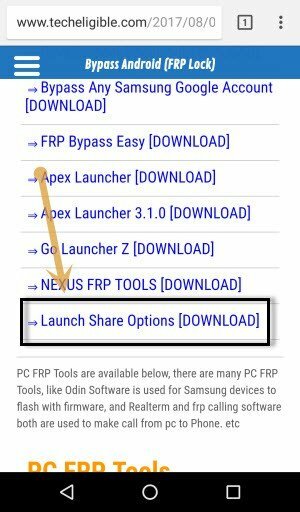 -From same techeligible page, tap on “Launch Share Options”. -After that, you’ll have share options. -Now Tap on “3 Dots” from top right corner, and then select “Manage Accounts”, after that “Continue”. -Now you’ve accessed to “Settings”. -Tap on “Google Services > Now Cards > Show Cards. (This will launch Google). -Type in search bar “Download”, and then tap on “Download icon” to go to download folder. -Now tap on downloaded app “Quick Shortcut Maker > Install > Open”. Note: Uncheck “Use as default app”, and open with “Package Installer”. 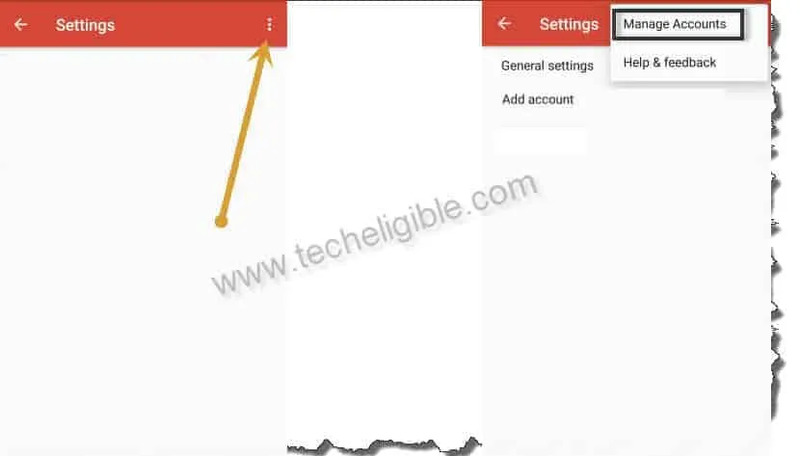 -Type in search bar “Google Account Manager“, after that you will have list of google acc managers there. -Select the one which appears with “Type email & password”. 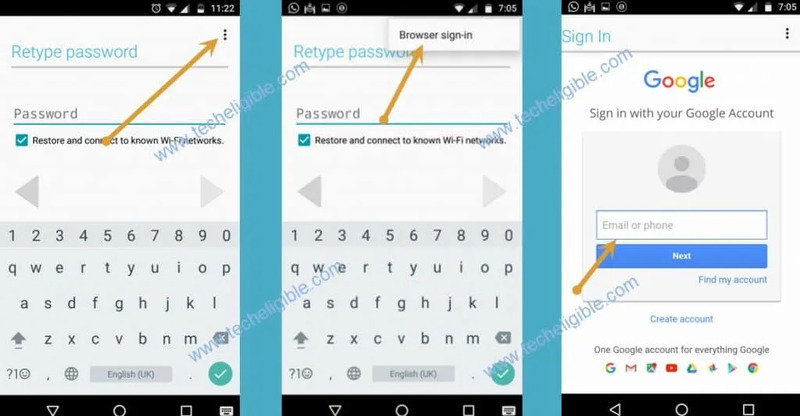 -Tap on “3 Dots” from top right corner, and then select “Browser Sign-in”. 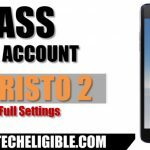 -Now add your valid gmail account there to Bypass Google Account LG Stylo 2 Plus. 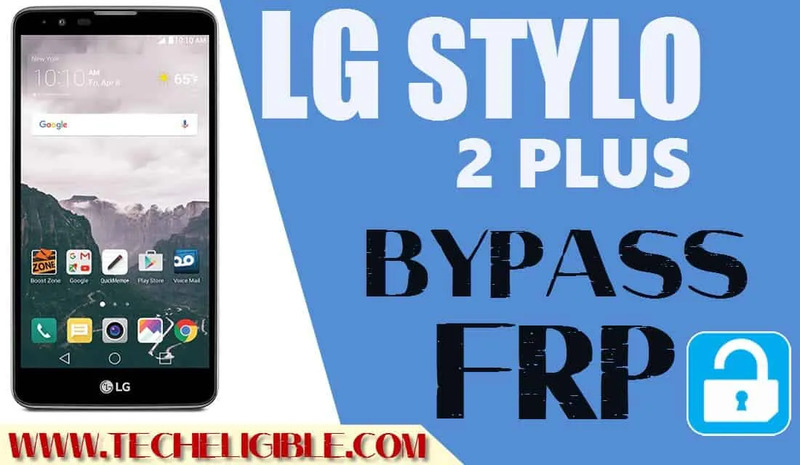 Thanks for visiting us, and to Bypass Google Account LG Stylo 2 Plus with our method, if you have any question regarding this post, you can comment below box, don’t forget to mention complete detail of your device. and Thank you in Advance!! I saw your post. I have a Stylo 3 with the FRP issue. I was wondering if you got a resolution to your issues. If so, would you be willing to share. I am exhausted and hours upon hours into trying to resolve the issue.. I am adding my email here due to the page stating emails would not be displayed..
May we have your device complete detail? Hi. I don’t know why, but my question i submitted yesterday seems to have disappeared. Anyways, I cannot get developer tools to activate so I can enable the download from unknown sources. Please help. Thank you. got all the way to the last step but when im looking at google account manager there is none that has the type email password field like in the screen shot. I am also having this issue on a LG gpad f 8.0 running marshmallow. I’m trying like heck to keep Kingroot’s claws out of my tablet but every workaround I try leaves me stymied. Le sigh. That is great that folks are figuring out how to “hack” FRP, but what is the enterprise grade solution? For example, if an employee that is terminated with an iPhone that is locked to their account gets returned to me, I have to call Apple and send them a receipt showing ownership and then they remove the protection. Done. So what is the process for Android/Google now that they are doing this? I am not sure about that, they should do this if a person has proof, he owns that device. I guess that is my question… who is “they”? i guess there is no support like that, if the device is under warranty, then you can claim that, otherwise it does not seem to be resolved, because that frp is from android and google. and you can’t contact directly to android developers, so you will have to go for alternate solution that exactly what this site is about.